SEO – Search Engine Optimization – is more important than your website address or its design, when it comes to it being found when someone is searching for your products or services. If you want your site to be found by your customers and prospective customers, SEO is what makes that happen! 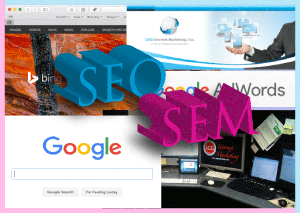 The SEO process starts with the initial search engine optimization setup. 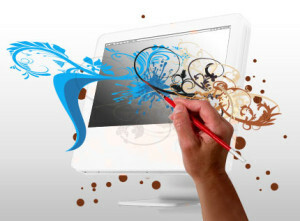 This is the optimization of your website so it achieves high rankings for search terms. In other words, when someone does a search for your products or services, your website is at or near the top of the list of results. SEO is considered an “organic” method of driving business to your website because you are not paying for placed ads and listings as you would with SEM – Search Engine Marketing. Instead, you are updating and improving your internet presence so search engine websites, like Google and Bing, list your website at or near the top of a search results list. It sounds simple but it is actually a complex process with requirements which vary somewhat by search engine (Google, Bing, etc.). By tailoring your site to better fit the ever-changing algorithms that are used by the search engines to determine your “ranking”, we move your company website towards the top of the first page list of search results on all of the popular search engine sites (see more). It includes the optimization of your website’s meta data and other content, setting up and submitting website information such as site maps to search engines on a regular schedule and when content is updated, regular content revision, improving keywords and phrases, building links to your site with new social site content, you can author articles for professional blogs with links to your site, and more. We create/revise and improve the keyword (long & short tail phrases, terms, etc) list for your site. We start with your input to determine what you wish to focus on and achieve. This is facilitated by our conversations and the use of our “Website SEO Questionnaire” as well as a review of any existing and potential keywords from your website content and your top competitor’s websites. We have access to a ‘real time’ database of worldwide internet searches and other analytical data to evaluate the above as well as generate new terms. Then we use the best in the ‘meta tags’ hidden in website code, and “alt tags” (found on the images) on each page of your site. These tags describe what is in the image and are used by the search engines in placing your site in search results. We also make minor modifications to your copy to emphasis your key words and key phrases. Then we register and submit your site and site map to the search engines you choose including the most popular, some very obscure, and any that you request EVERY DAY for those that allow it (some allow only weekly or other schedule of submissions). 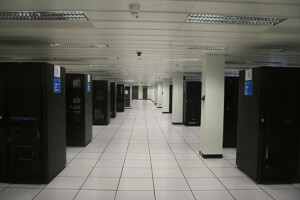 We do this for 30 days from the completion of the site optimization. 30 days is the minimum amount of submissions and time needed to see your website in search engine results and they will not likely be on the first page. You might see initial results in as little as a week. But, an ongoing effort is required to see consistently high rankings (see more). You’ll see those results by searches you do and in the Google Analytics reporting which we provide access to once the initial submission is made after setup. Included with every monthly subscription is our custom reporting system you install on your pc. It allows you to get real-time updates to vital analytics regarding your site’s ranking and effectiveness of keywords site up-time, and much more. We strongly recommend that you sign up for continued daily submissions and administration with a subscription that you pay for by the month. 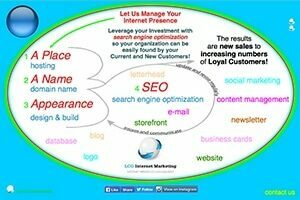 See our Monthly SEO Service for additional information. There is no minimum number of months and you can stop the service anytime that you wish. Please note the listed price is for a website with up to 8 pages. Should additional content need to be optimized, it will be done on an ongoing basis by becoming a part of the monthly service.